We’re not all headed straight for That Other Place as long as there are wonderful young women like Ruby Kate Chitsey in the world. Ruby Kate is an 11-year-old girl in Harrison, Arkansas. 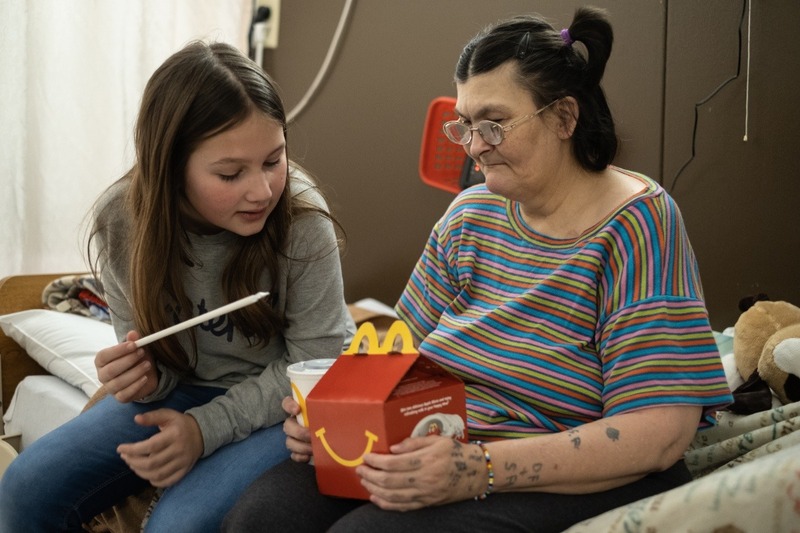 For several years, she’s been visiting the residents at the Medicaid-funded nursing homes where her mother, Amanda, works. One day, a little bored, and wishing for something to do, Ruby Kate noticed a resident staring forlornly out the window at a man walking a dog, and she started to wonder what would make the nursing home residents happier.